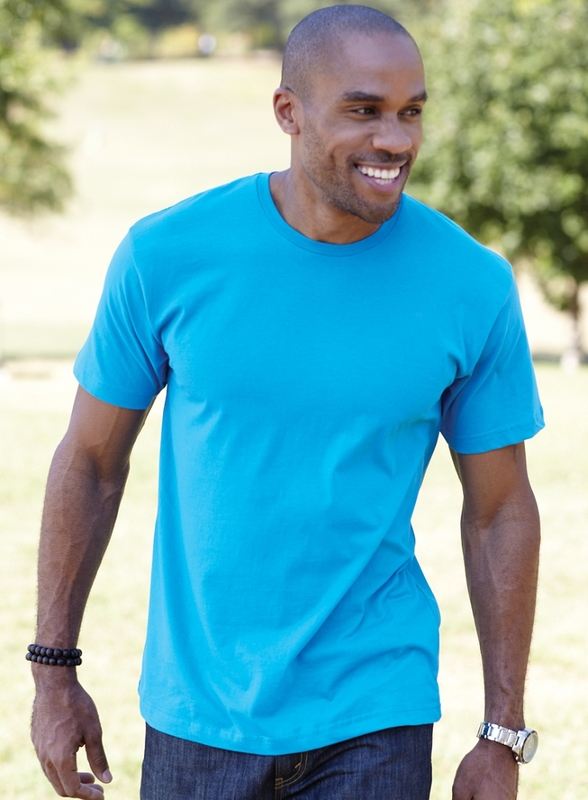 These solid colored mens t-shirts are an everyday must have. Super soft fabric means he won't have to give up comfort for style and durability. Available in over 25 colors including school colors and options for teams, retail, resorts and more! 4.5 oz. 100% combed ringspun cotton (Heather is 93/7) jersey. Taped shoulder-to-shoulder with EasyTear™ label. Double-needle hem sleeves and bottom. White is sewn with 100% cotton thread. Q: I need a tall man's t-shirt. are the men's Jersey shirts very long?